Why Using Photo Matching Software? 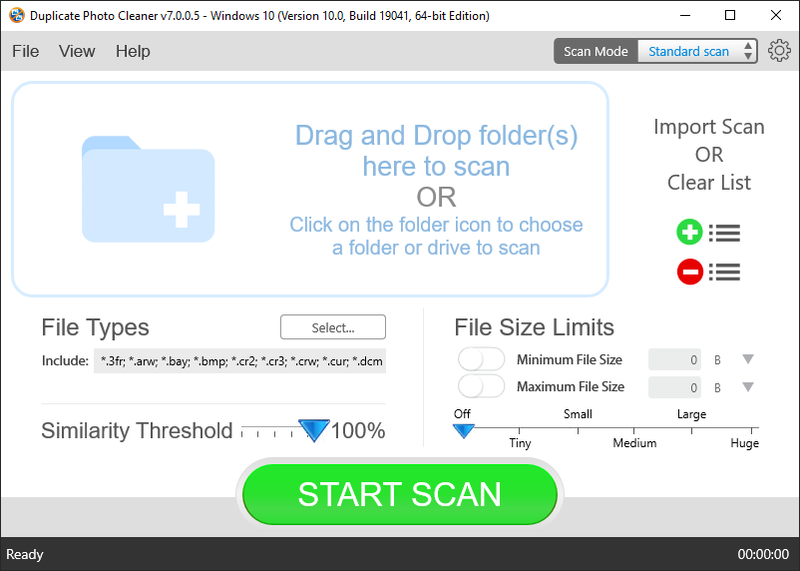 Much is spoken today about all sorts of automation software - Duplicate Photo Cleaner in particular, the breakthrough photo matching software which has turned our concept of orderliness upside down. The major aim of such software is to bring to order, organize properly the image content you've got on your PC drive. Many skeptics argue that one doesn't need using all that software meaning you can do without all that stuff. Okay, let's set the record straight and try to find out the whole truth about photo matching software. It can hardly be argued I suppose that almost all of us have got cameras and really enjoy taking photographs. Well, if you are not keen on taking photographs and your photo collection has a bit more than a hundred images, each of them being absolutely perfect in quality, then it's probably not necessary for you to read on. And on the contrary, if you are a genuine photo-taking lover, and your collection of images is merely gigantic, we've got excellent news for you! Now you may stop wasting long hours and days perfecting your image collection - Duplicate Photo Cleaner is not afraid of huge volumes of work and masterly copes with them in no time. This photo matching software has really changed the way we collect photos and organize our collections. In the age of technological hey-day and mass spreading of digital photo cameras with gigantic storage capacities have led not to hundreds but thousands of great shots on PC hard drives, many of which being very similar to each other. How embarrassing it must be to present such a messy collection of photos to friends and relatives! However Duplicate Photo Cleaner is here to give a helping hand to you. You see, lighting problems, camera shaking and difficult shooting conditions are capable to spoil severely even the best images, so that correcting this manually would be extremely tedious and time-consuming. Thanks to content-based approach implemented in Duplicate Photo Cleaner, this photo matching software automatically compares digital pictures and finds duplicates at lightning speed! You see while most photo matching programs promise to detect duplicate images on the basis of name, date, or other metadata, Duplicate Photo Cleaner does find photo duplicates, but on a very sophisticated high-quality level, mostly due to its innovative analyzing mechanism - it can even search for resized, rotated, and flipped images as well. Just fantastic, isn't it? Duplicate Photo Cleaner does not just look for exact duplicates. You're welcome to specify the level of similarity and the program will find all the images which meet the requirements. You may view them in pairs or see the top ten similar images and save the best one! Having analyzed all digital images specified by you (images can be located in different folders and on different logical disks), this photo matching software automatically selects the best image out of several similar ones and the only thing left for you is to move or delete image clones in a couple of clicks. As simple as that! No time spent! No efforts wasted! No more photo clones in your collection! So, if you are an owner of a huge collection of images, don't waste your time anymore and download Duplicate Photo Cleaner now and form your own opinion whether it's useful or not for personally you.